Want a super cute, easy to make gift idea for neighbors and friends? 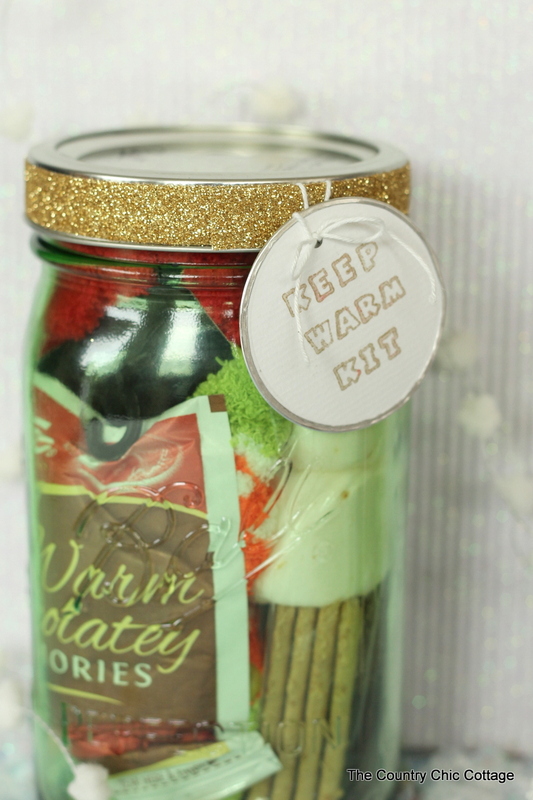 Gifts in a jar are the perfect thing and this keep warm kit is adorable and practical too. Hello Thirty Handmade Day readers! My name is Angie and I blog over at The Country Chic Cottage. I am thrilled to be here with a handmade gift idea for you today. 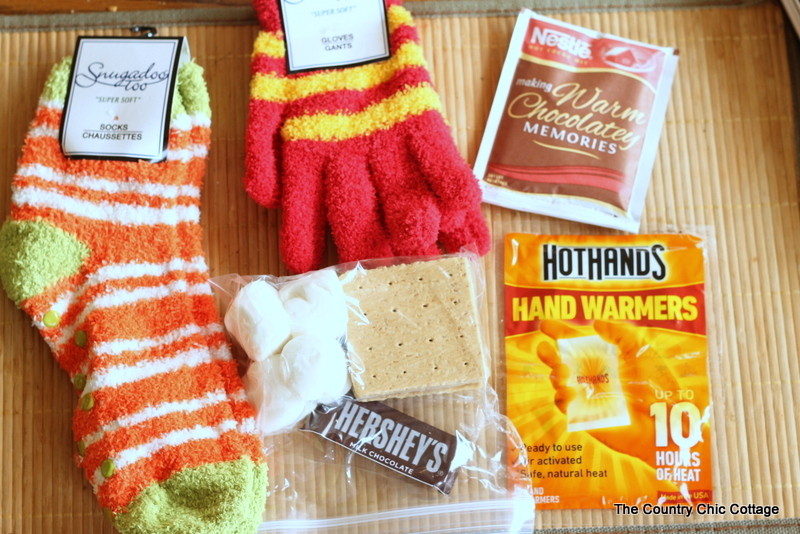 I am going to share a fun keep warm kit give in a jar. 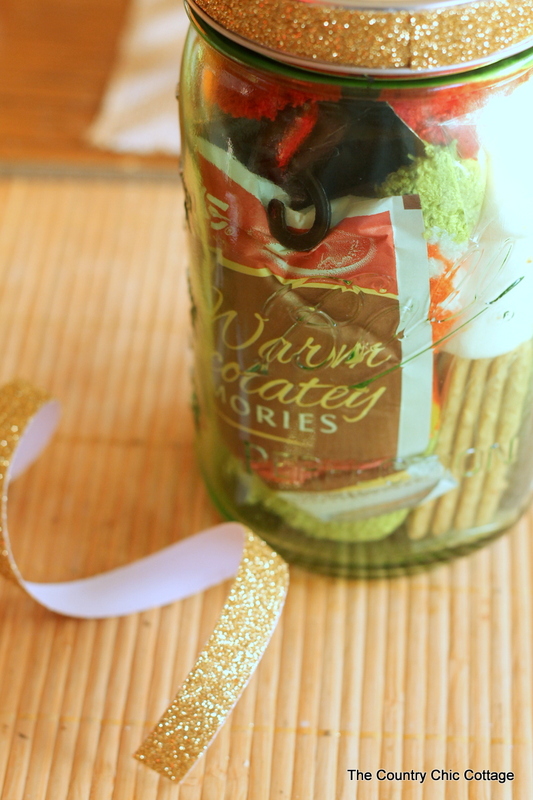 Everything your gift recipient needs to keep warm in the cold winter months packed into a fun jar container. Add all of those items to your mason jar. A quart size with a wide mouth will work best as the items are really crammed in this one. I wanted to add a little flair to that plain lid so I added some glitter tape around the edge. Then I hand stamped a gift tag and tied it on as well. This gift in a jar is ready to be given to anyone on your holiday list. This is perfect for ladies and gentlemen. Give to neighbors, teachers, mailmen, and more! 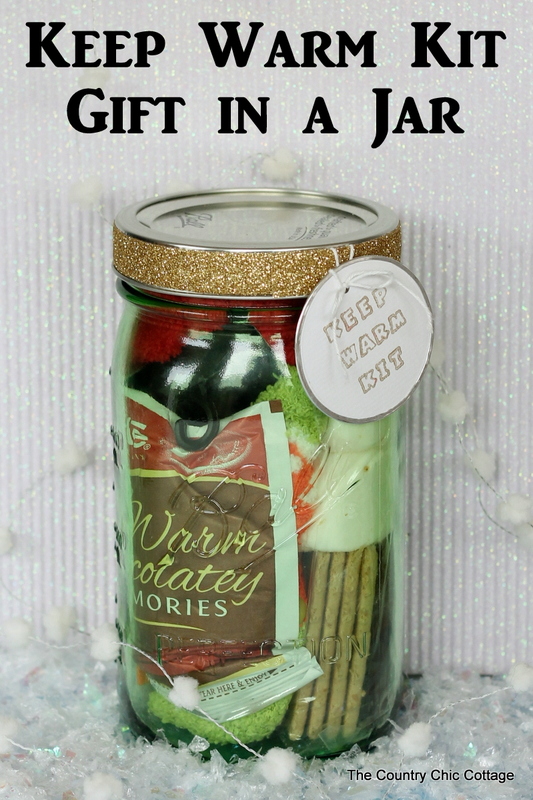 Everyone will love this keep warm kit gift in a jar. 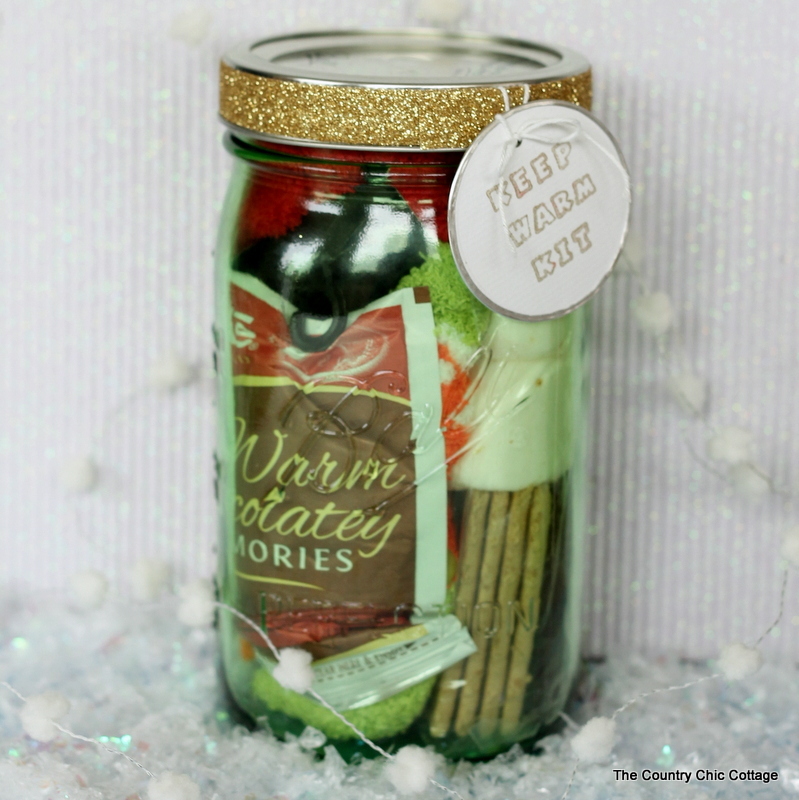 If you love mason jar gifts, be sure to come over to The Country Chic Cottage for tons more ideas. You can visit my mason jar crafts gallery page or click on an image below to see more. A huge thank you to Mique for having me during this fun series! And y’all be sure to give handmade this holiday season. This post was originally shared for the Bake, Craft, Sew series. For the right adult friend, you could add airplane bottles of liqueur to spike the hot chocolate. Maybe peppermint schnapps, vanilla vodka and Bailey’s, Kahlua and peppermint schnapps, or Guinness whiskey and Bailey’s. How creative and thoughtful! I might use this idea for gifts for co-workers! Especially since our power has been going out and the storms just started. Such a cute idea! I used those same socks for an “Orange you glad it’s your Birthday” basket. I think this is a great idea for a sweet gift…I might use it this year. this would be lovely to receive.